First off, we are imagining the typical manufacturing environment--one that creates certain objects out of existing materials and sells them to a paying customer base. These products are manufactured and marketed to those who might be willing to buy them. To this end, the three aforementioned technologies are incredibly beneficial. You may have heard about the Internet of Things--a collective term referring to the millions of connected devices that are now being used effectively everywhere. This could include anything from smart devices like watches and household appliances. 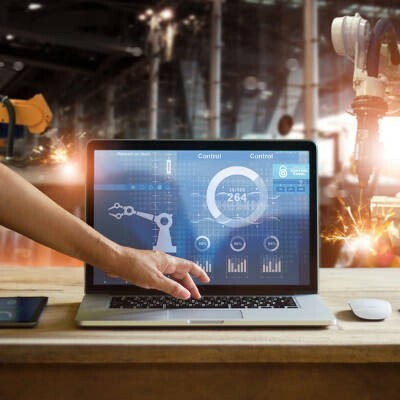 While they might not seem like they apply to the manufacturing industry, think about the type of connectivity they experience. Since these devices can seamlessly communicate with one-another, they can be used to collect data or send commands. Now imagine a manufacturing plant that has sensors or machine parts that can send or receive information to complete a task or better understand the processes of your equipment. These sensors can even be used in a preventative way, analyzing key functions to ensure they stay productive and optimized. Any manufacturer needs a way to track the products that they make, but it can be difficult without a system dedicated to doing so. Inventory management software provides your organization with a database that can be checked or altered as needed. These tend to work by scanning a barcode on the product or device, thereby adding or removing it from the database. Of course, this can vary by system, but this is the general idea behind it. It gives manufacturers a way to track inventory in a way that a simple spreadsheet or document doesn’t. All important decisions should be made with the data in mind. This might include what kind of product is manufactured, who is buying it, how much it costs, how much the materials to make the product costs, and so much more. All of this information needs to be collected and stored in a central location where it can be analyzed to make educated decisions about the future of the product or service. This is where those Internet of Things devices come into play--since they are actively collecting data, manufacturers have a snapshot view of the current state of things, so to speak. XFER can help your business utilize all of the above technologies in a way that maximizes potential and return on investment from your products. To learn more about how we can help, reach out to us at 734-927-6666 / 800-438-9337.